In Think Like a Man Too, Michael (Terrence J) and Candace (Regina Hall) are finally getting married. Together with their long-time friends, they head for the glitz and glamour of Las Vegas for the big day. But plans for a romantic getaway go awry when a series of misadventures get them into some compromising situations that threaten to derail the wedding. 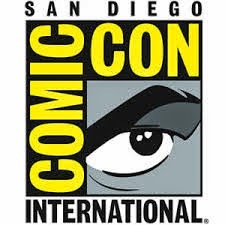 Also starring in the film is Adam Brody (Life Partners), David Walton (“About a Boy”), Dennis Haysbert (“24”) and Jennifer Lewis (Baggage Claim). CULVER CITY, Calif. (Aug. 5, 2014) – The all-star cast of the box office hit Think Like A Man travel to Las Vegas to continue their shenanigans in THINK LIKE A MAN TOO, debuting on Blu-ray™, DVD and Digital HD Sept. 16 from Sony Pictures Home Entertainment. The hilarious romantic comedy features the return of the ensemble cast, including Michael Ealy (About Last Night), Jerry Ferrara (“Entourage”), Meagan Good (Think Like a Man), Regina Hall (About Last Night), Academy Award® nominee Taraji P. Henson (Best Supporting Actress, The Curious Case of Benjamin Button, 2008), Terrence J (Sparkle), Romany Malco (Last Vegas), Wendi McLendon-Covey (“The Goldbergs”), Gary Owen (Think Like a Man), Gabrielle Union (Think Like a Man), LaLa Anthony (Think Like a Man), and Kevin Hart (About Last Night). 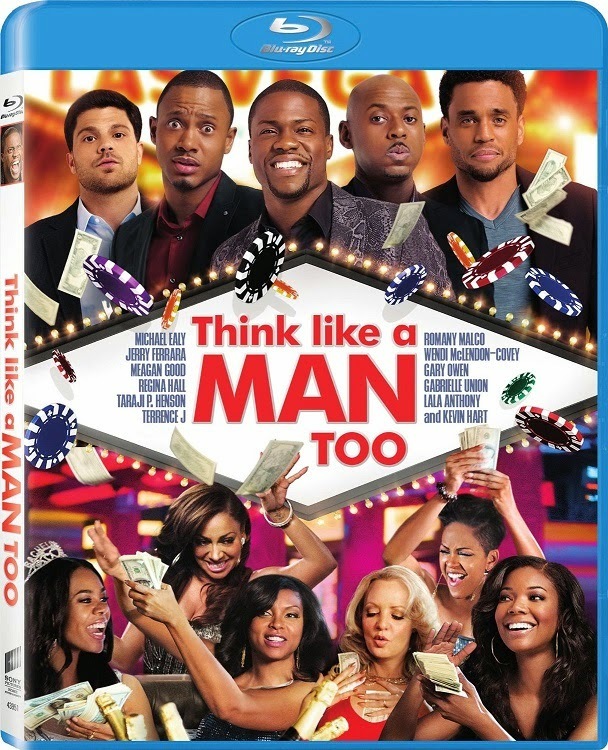 Bonus features for THINK LIKE A MAN TOO include deleted scenes and two all-new featurettes. The “Lights, Camera, Vegas!” featurette showcases the luxury of Las Vegas and the unprecedented access given by Caesar’s Palace during the making of the film, while “Comedy Last Vegas Style” highlights the humorous side of the cast and crew as they expose their true feelings for one another and their experiences on set. Available exclusively on the Blu-ray are four additional deleted scenes, a gag reel and two extra featurettes. 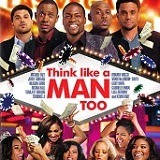 “Think Like A Man Too According to Kevin Hart” re-caps the film like only Hart can, and “The Ultimate Sequel” goes behind-the-scenes with the cast as they share how their characters have grown since the first film. The film is directed by Tim Story from a screenplay by Keith Merryman and David A. Newman based upon the book Act Like A Lady, Think Like a Man by Steve Harvey. William Packer served as producer. Executive producers include Glenn S. Gainor, Rob Hardy, Steve Harvey, Rushion McDonald, Keith Merryman, David A. Newman and Ben Waisbren.